The Supreme Court has observed that National Company Law Tribunal has no jurisdiction and authority to analyse or evaluate the commercial decision of the Committee of Creditors (CoC) to enquire into the justness of the rejection of the resolution plan by the dissenting financial creditors. 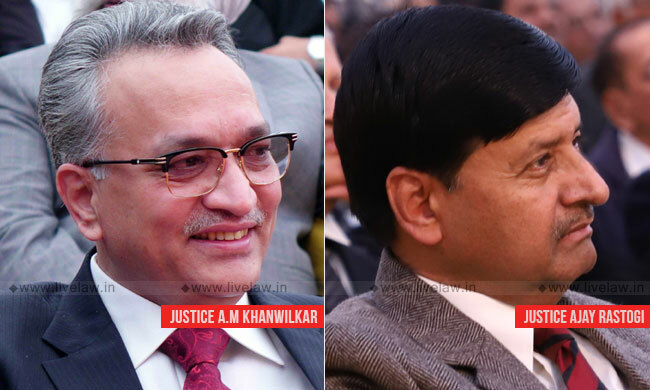 The bench comprising Justice AM Khanwilkar and Justice Ajay Rastogi observed that upon receipt of a "rejected" resolution plan, the adjudicating authority (NCLT) is obligated to initiate liquidation process under Section 33(1) of the Insolvency and Bankruptcy Code. The bench was considering appeals (K. Sashidhar vs. Indian Overseas Bank) against an NCLAT Rulings which held that the requirement of approval of resolution plan by vote of not less than 75% of voting share of financial creditors is mandatory. "Neither the adjudicating authority (NCLT) nor the appellate authority (NCLAT) has been endowed with the jurisdiction to reverse the commercial wisdom of the dissenting financial creditors and that too on the specious ground that it is only an opinion of the minority financial creditors. The fact that substantial or majority percent of financial creditors have accorded approval to the resolution plan would be of no avail, unless the approval is by a vote of not less than 75% (after amendment of 2018 w.e.f. 06.06.2018, 66%) of voting share of the financial creditors. To put it differently, the action of liquidation process postulated in Chapter-III of the I&B Code, is avoidable, only if approval of the resolution plan is by a vote of not less than 75% (as in October, 2017) of voting share of the financial creditors. Conversely, the legislative intent is to uphold the opinion or hypothesis of the minority dissenting financial creditors. That must prevail, if it is not less than the specified percent (25% in October, 2017; and now after the amendment w.e.f. 06.06.2018, 44%). The inevitable outcome of voting by not less than requisite percent of voting share of financial creditors to disapprove the proposed resolution plan, de jure, entails in its deemed rejection"
The court also observed the scope of enquiry and the grounds on which the decision of "approval" of the resolution plan by the CoC can be interfered with by the adjudicating authority (NCLT), has been set out in Section 31(1) read with Section 30(2) and by the appellate tribunal (NCLAT) under Section 32 read with Section 61(3) of the I&B Code. But there is no corresponding provision which empowers the resolution professional, the adjudicating authorities (NCLT & NCLAT), to reverse the "commercial decision" of the CoC. "This argument does not commend to us. In that, the word "may" is ascribable to the discretion of the CoC to approve the resolution plan or not to approve the same. What is significant is the second part of the said provision, which stipulates the requisite threshold of "not less than seventy five percent of voting share of the financial creditors" to treat the resolution plan as duly approved by the CoC. That stipulation is the quintessence and made mandatory for approval of the resolution plan. Any other interpretation would result in rewriting of the provision and doing violence to the legislative intent." "Suffice it to observe that the amended provision merely restates as to what the financial creditors are expected to bear in mind whilst expressing their choice during consideration of the proposal for approval of a resolution plan. No more and no less. Indubitably, the legislature has consciously not provided for a ground to challenge the justness of the "commercial decision" expressed by the financial creditors – be it to approve or reject the resolution plan. The opinion so expressed by voting is non-justiciable. Further, in the present cases, there is nothing to indicate as to which other requirements specified by the Board at the relevant time have not been fulfilled by the dissenting financial creditors. As noted earlier, the Board established under Section 188 of the I&B Code can perform powers and functions specified in Section 196 of the I&B Code. That does not empower the Board to specify requirements for exercising commercial decisions by the financial creditors in the matters of approval of the resolution plan or liquidation process." "The amendment under consideration pertaining to Section 30(4), is to modify the voting share threshold for decisions of the CoC and cannot be treated as clarificatory in nature. It changes the qualifying standards for reckoning the decision of the CoC concerning the process of approval of a resolution plan. The rights/obligations crystallized between the parties and, in particular, the dissenting financial creditors in October 2017, in terms of the governing provisions can be divested or undone only by a law made in that behalf by the legislature. There is no indication either in the report of the Committee or in the Amendment Act of 2018 that the legislature intended to undo the decisions of the CoC already taken prior to 6th day of June, 2018. It is not possible to fathom how the provisions of the amendment Act 2018, reducing the threshold percent of voting share can be perceived as declaratory or clarificatory in nature. In such a situation, the NCLAT could not have examined the case on the basis of the amended provision. For the same reason, the NCLT could not have adopted a different approach in these matters. Hence, no fault can be found with the impugned decision of the NCLAT. " Non-recording of any reason for taking such commercial decision will be of no avail. The bench also observed that non-recording of reasons for approving or rejecting the resolution plan by the concerned financial creditor during the voting in the meeting of CoC, would not render the final collective decision of CoC nullity per se. "Non-recording of reasons for approving or rejecting the resolution plan by the concerned financial creditor during the voting in the meeting of CoC, would not render the final collective decision of CoC nullity per se. Concededly, if the objection to the resolution plan is on account of infraction of ground(s) specified in Sections 30(2) and 61(3), that must be specifically and expressly raised at the relevant time. For, the approval of the resolution plan by the CoC can be challenged on those grounds. However, if the opposition to the proposed resolution plan is purely a commercial or business decision, the same, being non-justiciable, is not open to challenge before the Adjudicating Authority (NCLT) or for that matter the Appellate Authority (NCLAT). If so, non-recording of any reason for taking such commercial decision will be of no avail. In the present case, admittedly, the dissenting financial creditors have rejected the resolution plan in exercise of business/commercial decision and not because of noncompliance of the grounds specified in Section 30(2) or Section 61(3), as such. Resultantly, the amended regulation pressed into service, will be of no avail." "We hold that the NCLAT has justly concluded in the impugned decision that the resolution plan of the concerned corporate debtor(s) has not been approved by requisite percent of voting share of the financial creditors; and in absence of any alternative resolution plan presented within the statutory period of 270 days, the inevitable sequel is to initiate liquidation process under Section 33 of the Code. That view is unexceptional."